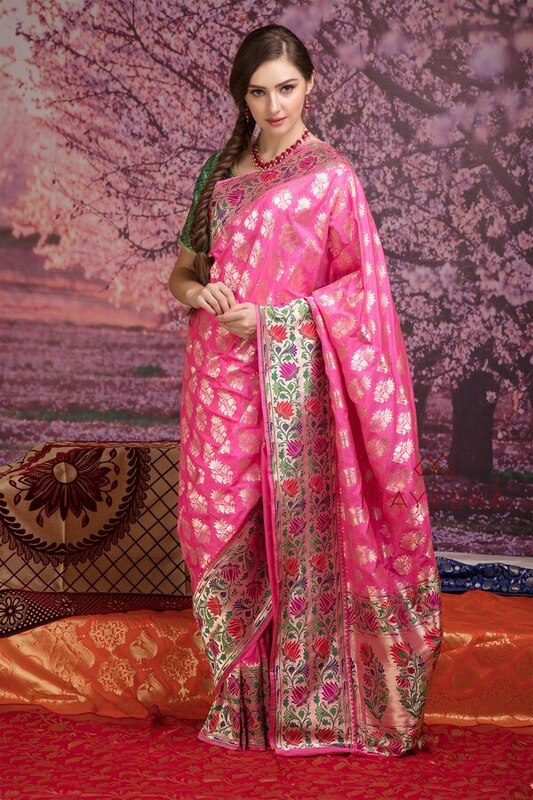 Featuring one of the finest silk sarees with the blend of Paithani and Banarasi. This pure Banarasi silk saree is detailed with Silver zari and merged with Paithani Pallu. 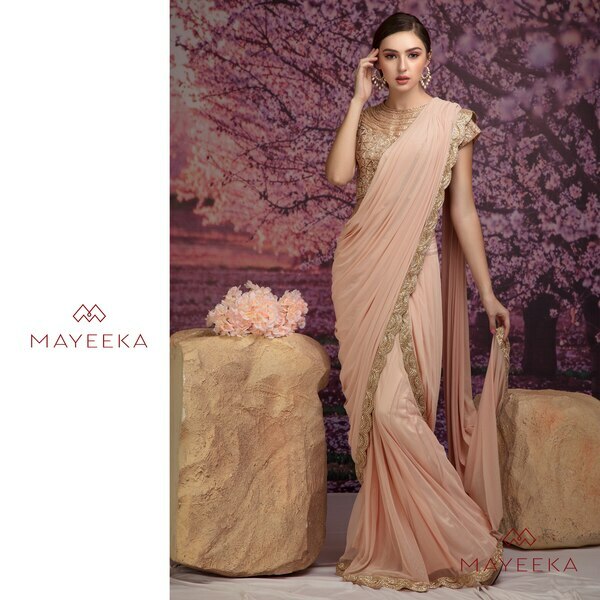 Draped Saree Peach Pleated saree with a designer blouse made on raw silk with detailed cut dana work on the net. 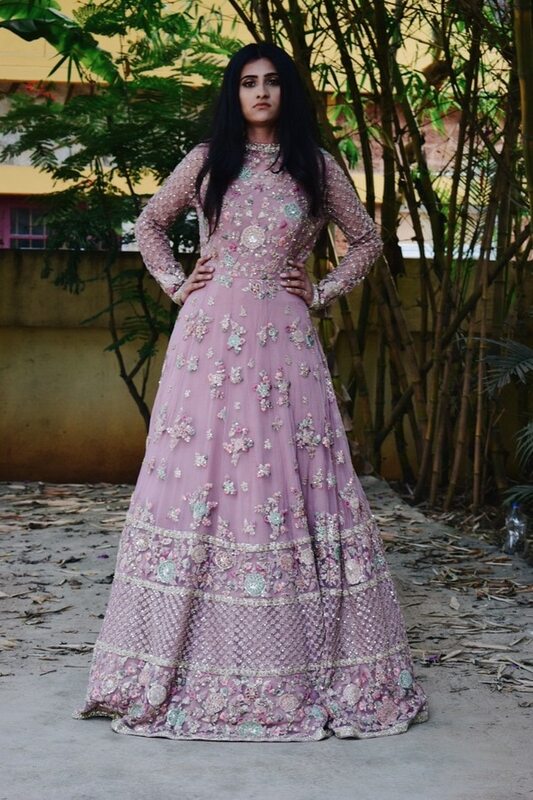 This beautifully bejeweled lehenga is an absolute stunner piece designed with delicate pearls, stone and zari work. 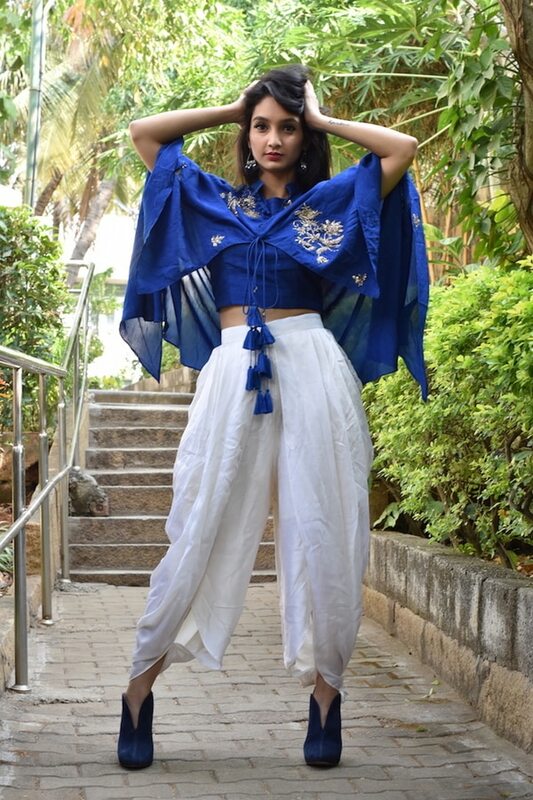 Dhoti is an epitome of the quintessential indo-western ensemble. Pair it with a crop top or layer it with a cape. If you are looking for something out of the ordinary, our treasury is sure to enthrall you. 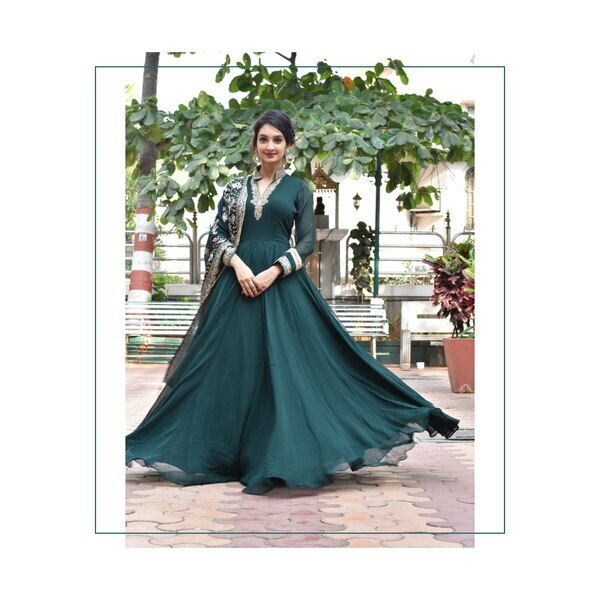 Featuring a classic emerald green, floor-length gown with intricate floral thread-work on the dupatta and zari embroidered neckline. 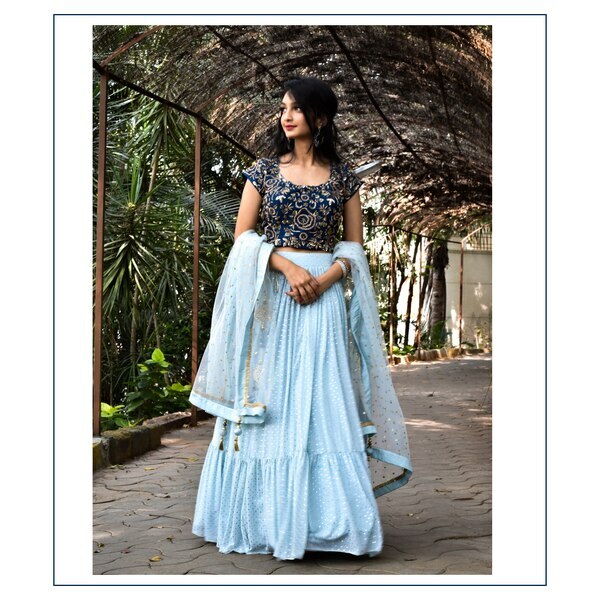 Featuring in different shades of blue is this stunning lehenga, with intricate and delicate zardozi, and sequins work. The shimmery skirt with net dupatta makes the attire light as a feather and hassle free. 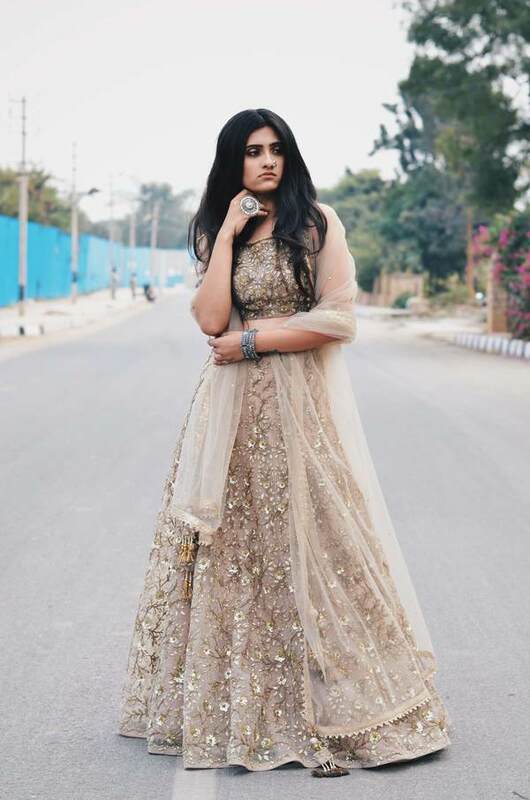 Featuring a finely crafted lehenga with a spray of floral zardozi all over, teamed with a simple net dupatta that draws attention to the sublime beauty of the ensemble. Egyptian Blue Saree This Beautiful Saree is an example of modern restraint in design. The striking Border brings about the shine of Zari on one end and a contrasting simplicity of Kalamkari on the other. 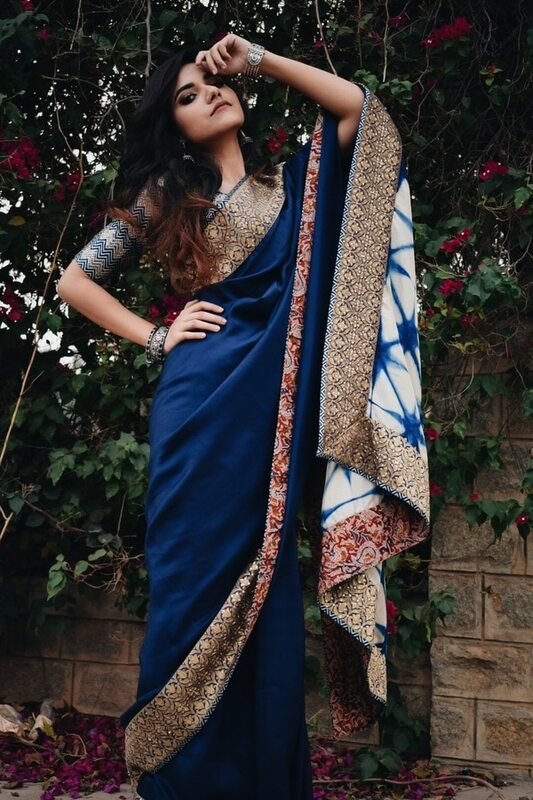 The tie and dye on the Pallu gives the Saree another dimension. Paired with a readymade Designer Blouse, it delivers beyond expectations. Available only at Mayeeka. Bridal Ensemble Multicolored thread and sequins are used in this delicate garden rose embroidery over the blush pink Netted gown. On the sleeves is the intricate Sequenced jaal with floral booties. 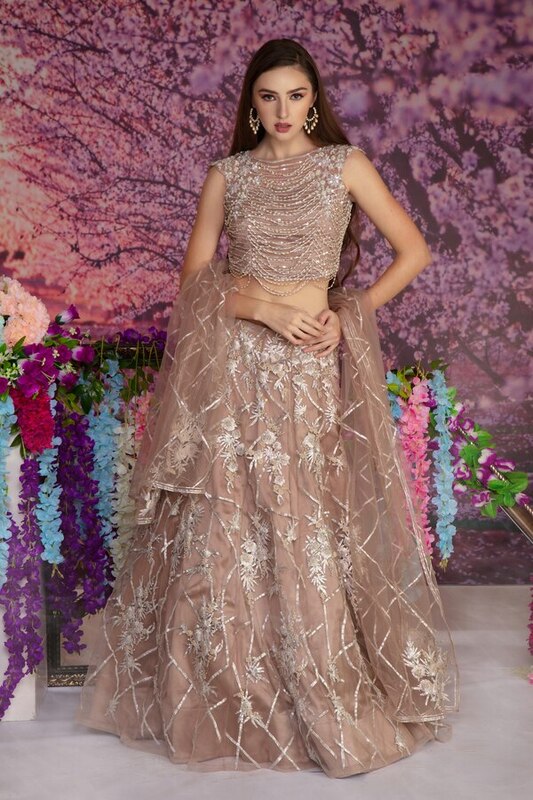 This stunning Gown available only at Mayeeka.